Marc Connelly and Alice Davenport have starred in 1 movie together. Their first film was The Sleep of Cyma Roget in 1920. Alice Washburn and Alice Davenport have starred in 1 movie together. Their first film was A Hornet's Nest in 1913. Laura La Varnie and Alice Davenport have starred in 1 movie together. Their first film was Skirts in 1921. Mildred Harris and Alice Davenport have starred in 1 movie together. Their first film was Unmarried Wives in 1924. Douglas Gerrard and Alice Davenport have starred in 1 movie together. Their first film was Against Heavy Odds in 1914. Mack Riley and Alice Davenport have starred in 1 movie together. Their first film was Hoffmeyer's Legacy in 1912. J. Wesley Warner and Alice Davenport have starred in 1 movie together. Their first film was Ramona in 1916. Jack Richardson and Alice Davenport have starred in 1 movie together. Their first film was The Dude Wrangler in 1930. Richard Smith and Alice Davenport have starred in 1 movie together. Their first film was Tillie's Punctured Romance in 1914. Rose Eghers and Alice Davenport have starred in 1 movie together. Their first film was Luke Wins Ye Ladye Faire in 1917. Virginia Sale and Alice Davenport have starred in 1 movie together. Their first film was The Dude Wrangler in 1930. Joe Jackson and Alice Davenport have starred in 1 movie together. Their first film was Fatty and the Broadway Stars in 1915. Brownie Brownell and Alice Davenport have starred in 1 movie together. Their first film was Luke Wins Ye Ladye Faire in 1917. The Singer Midgets and Alice Davenport have starred in 1 movie together. Their first film was Skirts in 1921. Oliver Hardy and Alice Davenport have starred in 1 movie together. Their first film was The Show in 1922. Dorothy Teters and Alice Davenport have starred in 1 movie together. Their first film was Ramona in 1916. Olga Treskoff and Alice Davenport have starred in 1 movie together. Their first film was The Sleep of Cyma Roget in 1920. Arthur Housman and Alice Davenport have starred in 1 movie together. Their first film was A Hornet's Nest in 1913. Claire Anderson and Alice Davenport have starred in 1 movie together. Their first film was His Double Life in 1918. Nigel De Brulier and Alice Davenport have starred in 1 movie together. 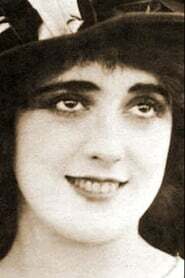 Their first film was Ramona in 1916.